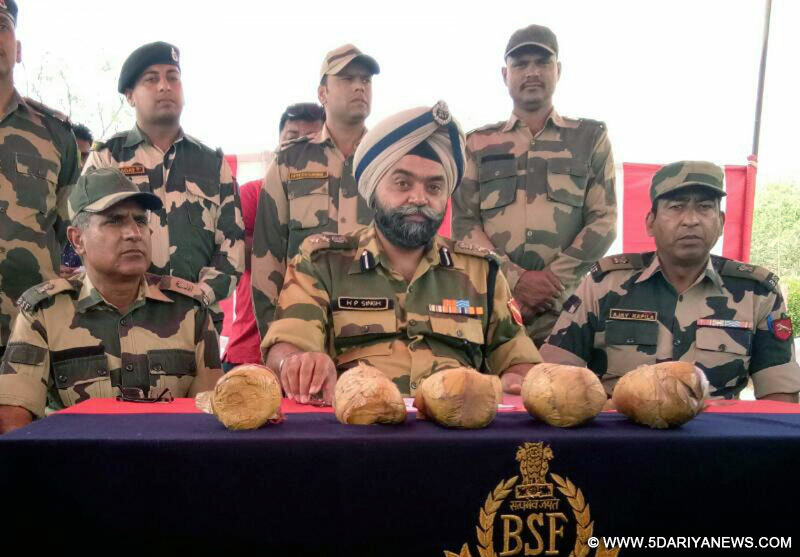 Border Security Force (BSF) troopers on Thursday recovered five kg of heroin in Punjab's Abohar sector, an official said. "Based on specific information about smuggling of narcotics through the International Border, a special ambush was laid. The team observed suspicious movement of Pakistani smugglers near the International Border who were approaching the border security fence," the BSF spokesman said. "The troops opened fire to stop the smugglers. However, they managed to escape. "The drugs, estimated to be worth Rs 25 crore, were recovered during a search operation later.Abohar is about 310 km from here, bordering Rajasthan and Pakistan.Punjab shares a 553-km-long barbed-wire fenced International Border with Pakistan.